Those of you who have known me for a while know that I celebrate my birthday every year with birthday month. Those who have experienced birthday month know that I’ll be driving everyone crazy every day of June. One year I celebrated Birthday Month by going out to eat with someone different EVERY day of June. I had 30 meals some with folks I see frequently and some with people I hadn’t seen in years. It was lots of fun but my crazy June schedule and my waistline say please don’t do that again this year. This year I’ve decided to share a different thought every day on Facebook on what I’ve learned in my 56 years of life. 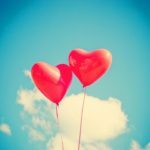 I’m hoping that these thoughts will inspire you, encourage discussion and most importantly make you smile. There just don’t seem to be enough smiles in the world right now. If you’d like to see them just like or follow me on Facebook. 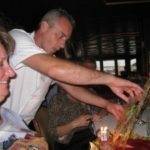 When I turned 50 a few years back I planned and researched a trip of a lifetime. 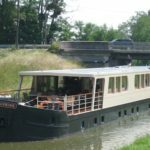 We took a barge cruise through Burgundy, France and everything about the trip was just about perfect. We had just started to think about writing about travel and launched PoshPorts. Since it was brand new we weren’t taking a million pictures and interviewing everyone like obsessed bloggers. We actually enjoyed every minute of the trip. Thank God. I didn’t know what lay ahead. To be sure the places I’ve been have been fun, weird, unusual and spectacular. I wouldn’t change my decision to quit my corporate job and start my entrepreneurial journey for anything. But 7 years ago, I didn’t have a clue of what was in store for me. The 14-hour days, the self-doubt, the endless work that no one could do but me. Let’s just say it’s not for everyone. 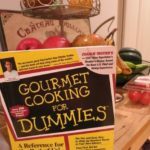 Some of the qualities that made me successful in my ad agency life translated very well to food travel blogging. I’m a good communicator. I am extremely resilient. Although I’m a Cancer crab and like things to be organized and orderly I’m oddly adept at adjusting, learning and fixing things as I go along. This is invaluable, especially if you’ve ever run a website or tried to keep up with the ever-changing social media landscape. If I couldn’t bounce back and move forward I would have probably stopped long ago. One thing about getting older is that although you may get a bit slower, a bit more sore after spending the day in the garden, and a tad forgetful you do get a lot smarter. You begin to understand the things your Mother, Grandmother and Uncle told you when you were growing up and know that their wisdom came from their experiences, their age and love. I now find myself saying similar things to my nieces and nephew hoping that they’ll understand but knowing they too have to learn many things on their own in their own time. One of the things about getting smarter is paying attention to things that make my life easier. A lot of people may roll their eyes but I joined AARP when I turned 50. I know many people get those notices in the mail long before their 50th birthday and toss them out. Like that can stop you from actually becoming 50. If there’s anything that us baby boomers have done correctly is age. We’re not our mother’s and father’s 50. We’re active, for better or worse we’ll be working for a long time, we pay attention, and we get involved – in everything. Me on the cover of AARP? Could happen. I got my AARP card and read the magazine when it came because who could resist the cover stories on some of my favorites like Robin Roberts, Bruce Springstein and many others. But that was about it. 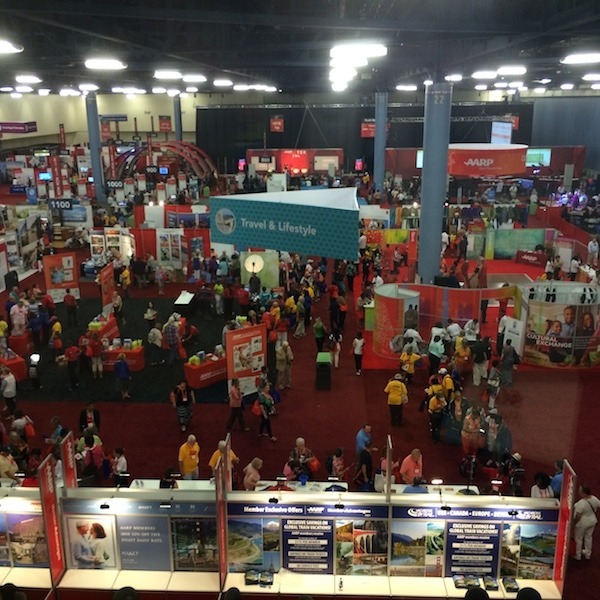 When AARP contacted me to join them at the Life At 50+ National Event in Miami a few months ago, I wasn’t sure what to think. My blogger self said YAH! trip to Miami, my other self said wait am I old? Fortunately, after reviewing what to expect at the conference my blogger self won out and I enthusiastically accepted their generous invitation to put me up at The Palms Hotel + Spa on South Beach and introduce me to their Life At 50+ National Event. When I arrived at the Life At 50+ National Event for the first time I have to admit I was blown away. First off it was huge, taking up the majority of the Miami Convention Center. The crowd was energetic and fun. They were learning how to salsa, picking up fitness tips and researching their next vacation. 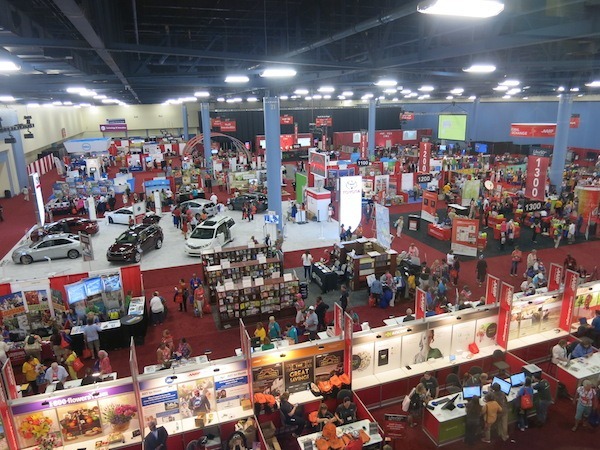 There were hoots and howls throughout the convention center as vendors spun wheels for give-aways ranging from pens to trips. This was not my idea of a “seniors” conference. There were presentations on how to use social media to keep in contact with family, how to manage money, retirement and healthcare issues. Heck, even our friend Carla Hall was there talking Money & Work. Samantha Brown spoke on Planning the Perfect Trip For All Generations. There were newly released movies at the Movies for Grownups Film Festival and even an AARP Superstar competition which was an American Idol type singing competition judged by Chaka Khan and Kenny Loggins! They offered wonderful volunteer opportunities to help feed, cloth and house people in the Miami area. There were so many things going on I couldn’t possible get to them all in the time that I had. As I worked my way around the pavilion I learned that I was wasting my AARP card. I have phone service from AT&T and didn’t know that my $16.00 AARP membership earned me a 10% discount. What!?! I also rent a business mailbox from UPS didn’t know that I wasn’t taking advantage of a 15% discount there either. So much for feeling smarter! 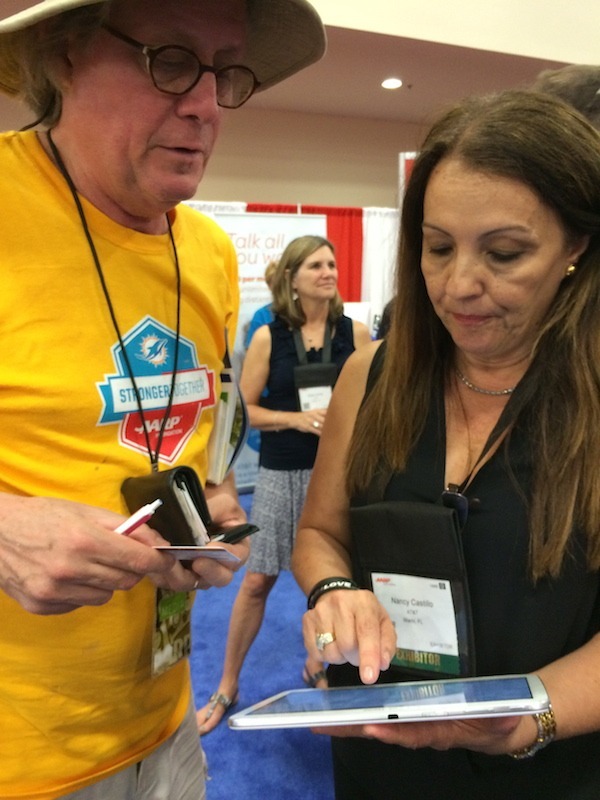 Signing Up for our AT&T discounts at the Life At 50+ National Event with our friend David from The Gypsynester. Turns out this was just the tip of the savings. 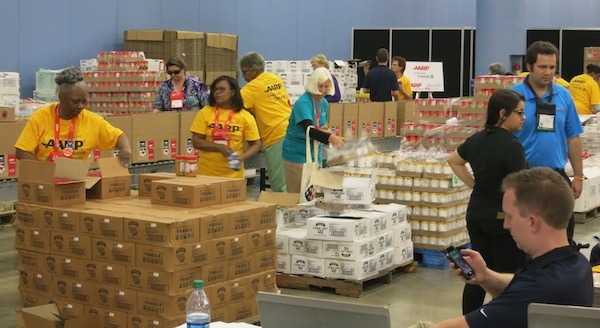 The AARP membership card offers discounts on food, travel, shopping, entertainment, health and much, much more. Check out AARP Discounts for the complete list. 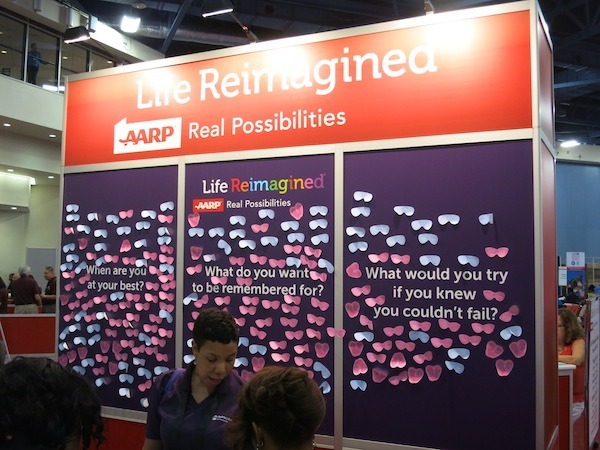 AARP’s slogan is “Real Possibilities.” I loved that there was a booth that asked attendees to think about their own possibilities. When are you at your best? What do you want to be remembered for? What would you try if you knew you couldn’t fail? It’s never too late to explore the possibilities of your life. The Life At 50+ National Event was full of so many real possibilities and reminders that truly the best is yet to come. It was the first time for me to experience the AARP possibilities and I’m really hoping it’s not the last. When that red and white card ends up in your mailbox be sure to look at it again. It’s not a sign that your life is half over, it’s the sign that your life is just beginning. I changed my life at 50 and you can too. Just be sure to take your AARP along for the ride you might be surprised at the places it will take you. 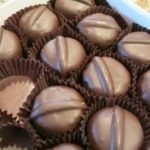 QUICK BITE: Our Co-Founder Sue Reddel gets ready to celebrate Birthday Month. She shares some of the lessons life has taught her as well as her journey to AARP’s Life After 50+ National Event. I’ve also do a full report on all the AARP Food and Travel Discounts so you do have to miss a thing! Happy birthday month. I like the going out to eat everyday with someone different. Great way to catch up with people. Good info for aarp. That event sounds amazing! I actually never heard of it, to be honest. I should check into that, even though I’m still in my 20s. I just love learning something new 🙂 Thank you for sharing! I love your spirit! Thank you!! Even at my age my real joy is learning new things every day – that never gets old. Thanks for stopping by. Happy birthday and great post. Happy Birthday Month! We both have birthday this month too 😀 The best month! Love the idea where you’re sharing a different thought every day on what you’ve learned in 56 years of living. Again, happy birthday, and enjoy your birthday month (and all the other months). Thanks and happy birthday to you too! 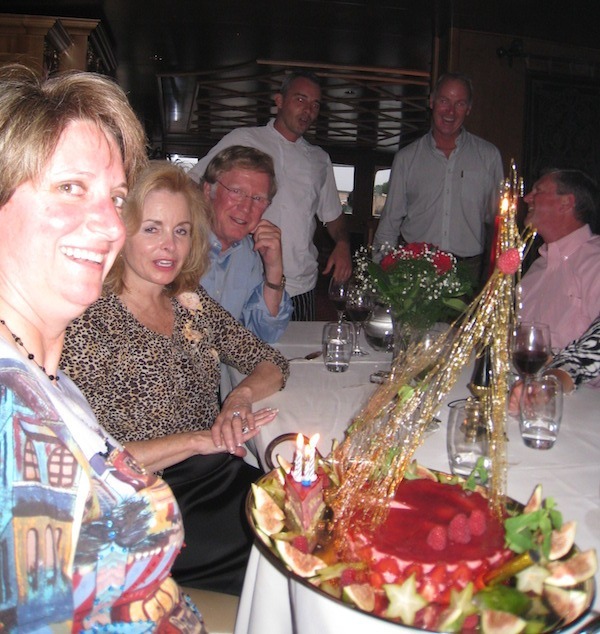 Enjoy your birthday month Sue! And yes I agree, after 50 it only gets better!!! AARP event looks like it was a good time, I will consider joining. Happy birthday, Sue! 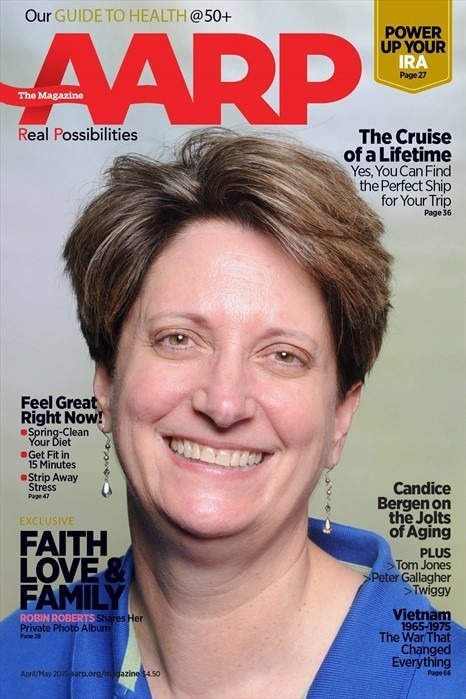 You make a great AARP covergirl, not only for your lovely picture but also for your spirit! I’m over 50 too! I don’t think of myself as old at all–in fact, it feels like I’m just getting started! Great to hear it Tami. Thanks for stopping by. After due consideration I have generously decided to share MY birthday month with Sue–I suggest I take the first half (MY B-DAY is the 9th) and she can have the second half. Dear Ted, we all know that’s just not going to work. I’m happy to share the WHOLE month with you. Happy Birthday!! Thanks for posting Sue. I’d like to go to the next AARP 50+ just to get my mug on a mock cover of AARP the Magazine! I check in on the site regularly for discounts, and am still trying to figure out how best to contribute stories. It’s always fun to imagine yourself on the cover of a magazine. Thanks for stopping by! 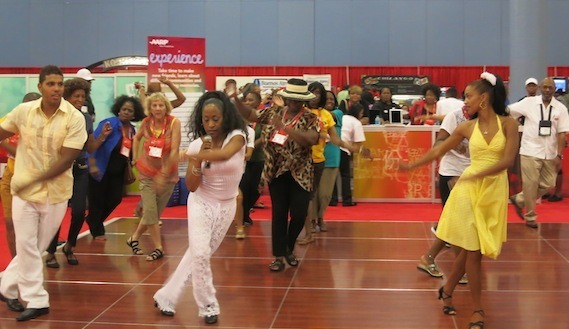 AARP’s Life At 50+ National Event sounds like it was fabulous. I wish they had invited me, too! BTW, we share a birthday month. Hadn’t thought about dining out every day. Might give that a try. Happy Birthday month Carole! Dining out every day is fun you just have to pace yourself. Some days I just did tea or a drink with people didn’t always include food. Have fun! It was great seeing you in Miami. We learned about a bunch of discounts that we have let go by without noticing. Always good to save some money, right? Great to see you two as well! Until money starts growing on trees I’ll be saving every penny I can. Thanks for stopping by! Happy Birthday Month! AARP is awesome! Examples of the great things that can happen after 50. Sounds like the AARP conference was fun and educational. Happy Birthday. We have CARP here in Canada, but other than insurance discounts, I haven’t looked into what perks they offer for the 50+ crowd. Now I will! Nice to meet you Jane. Every day is a learning experience that’s for sure – no different than agency work. Best of luck to you! Wishing you the happiest of birthday months, fellow Gemini! You’re right life after 50 only gets better! 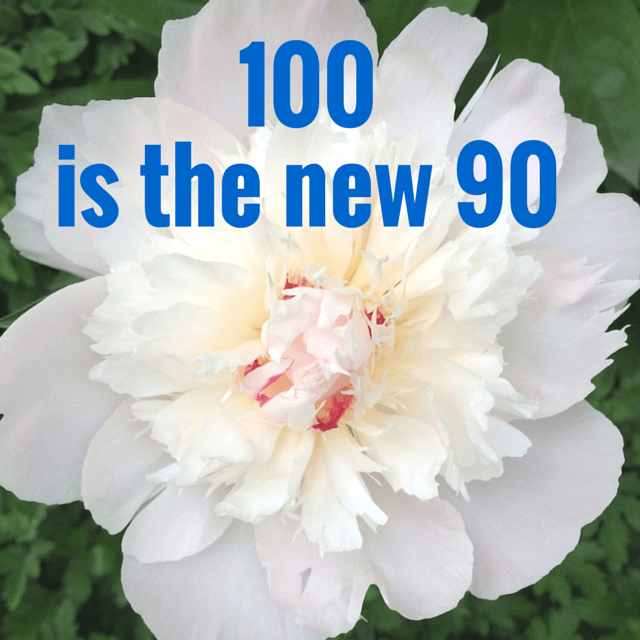 (And even better after 60! Don’t ask me how I know). Thanks Betsy! I’m a Cancer crab with my birthday on the 28th. God willing, I’m looking forward to 60 too! LOL! Funny what a little Canva.com can do. It was a lot of fun! Thank Nancy! Me too, instead of thinking the best is behind us with the right attitude everything is possible. Thanks for stopping by.